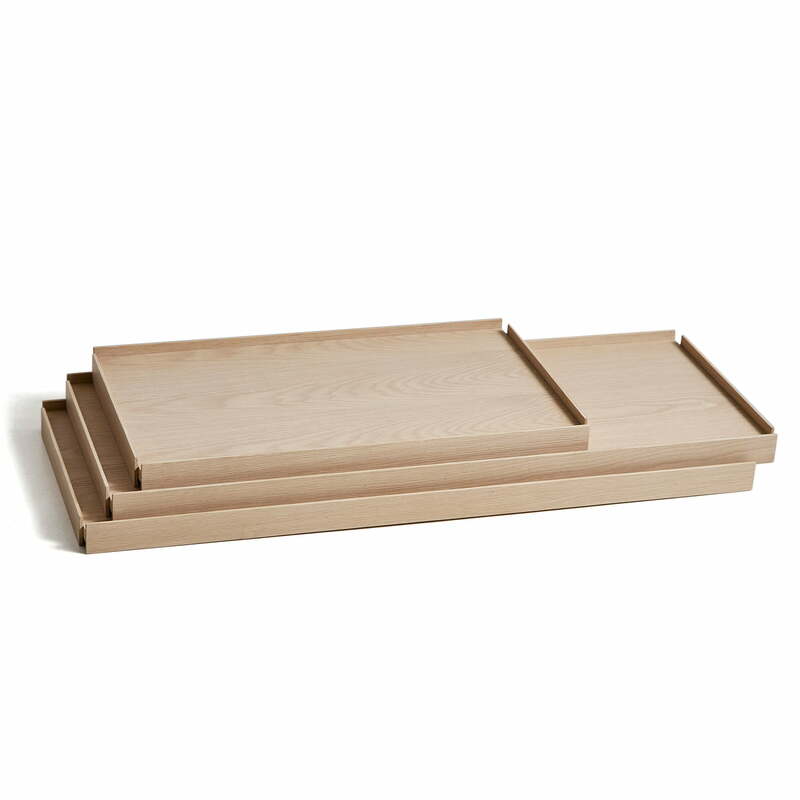 Tray Shelf low of Woud in single view. 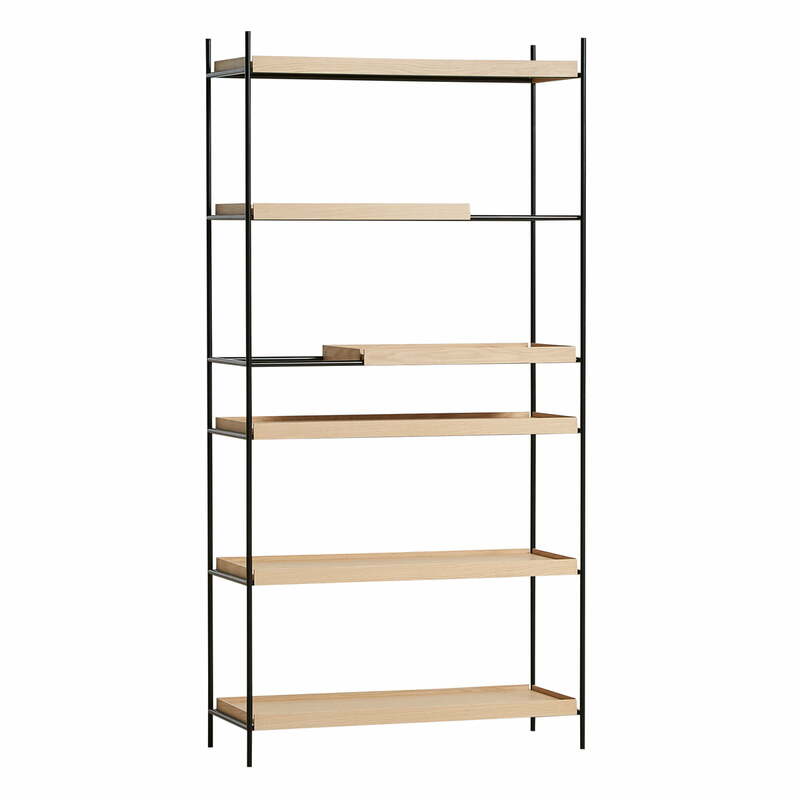 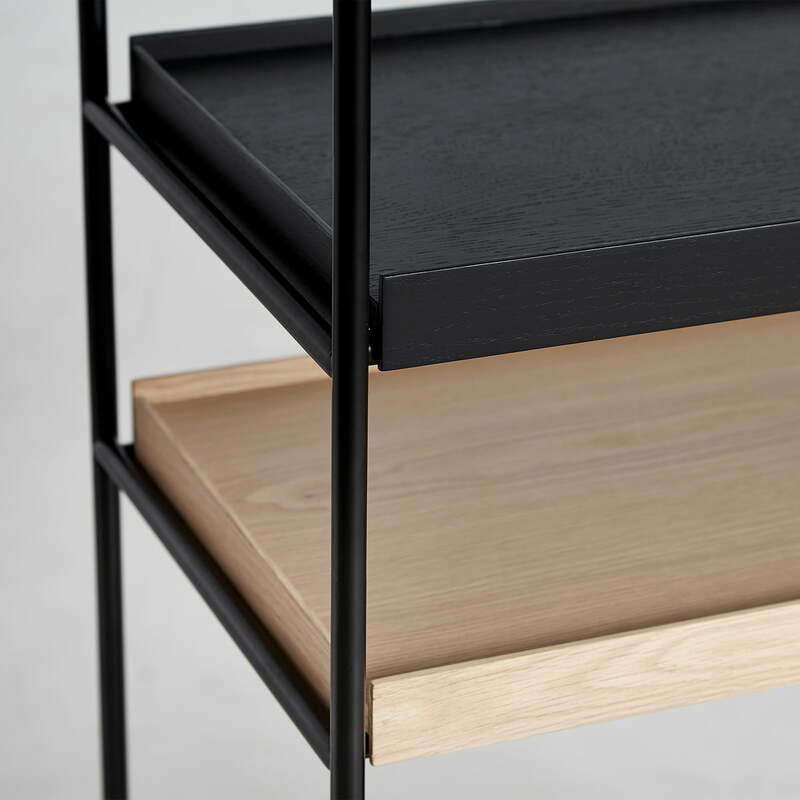 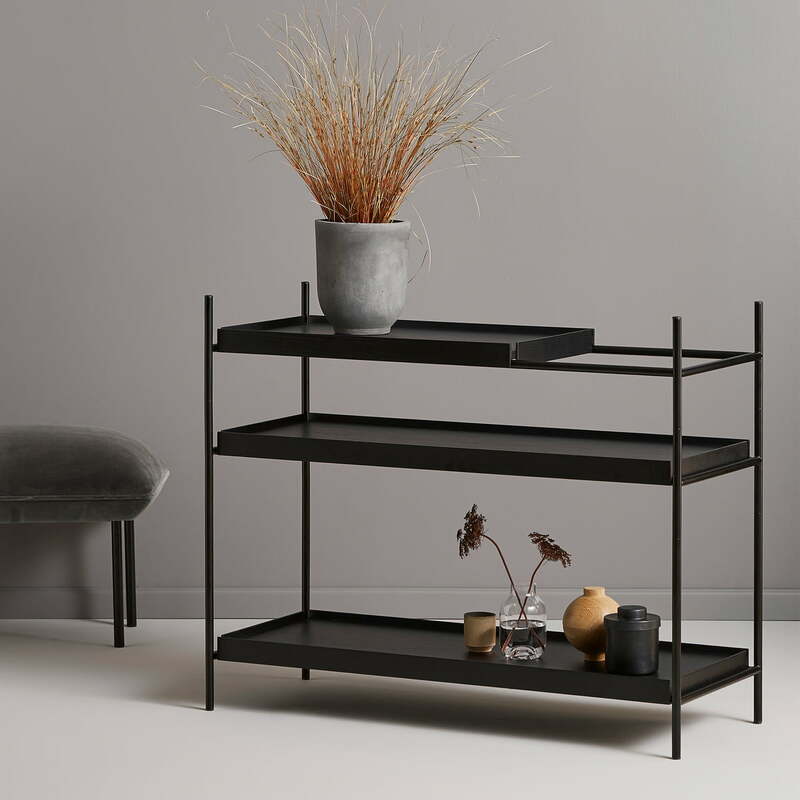 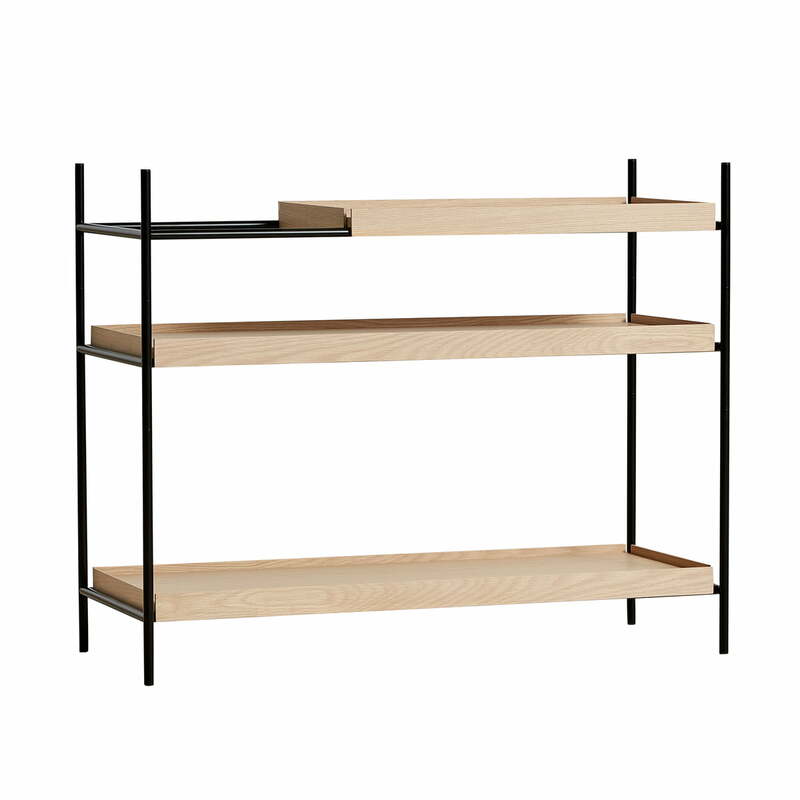 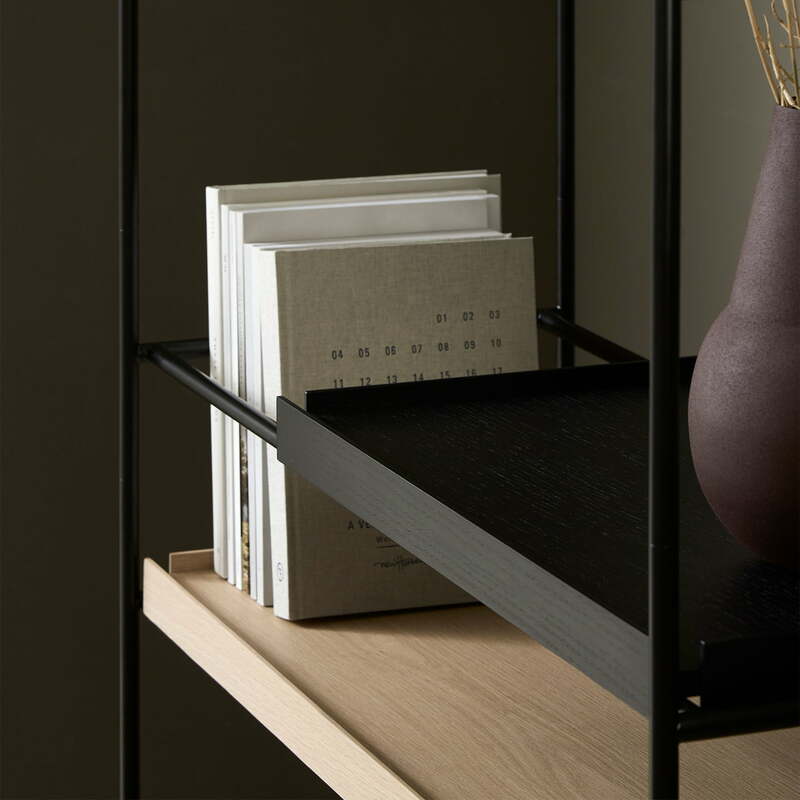 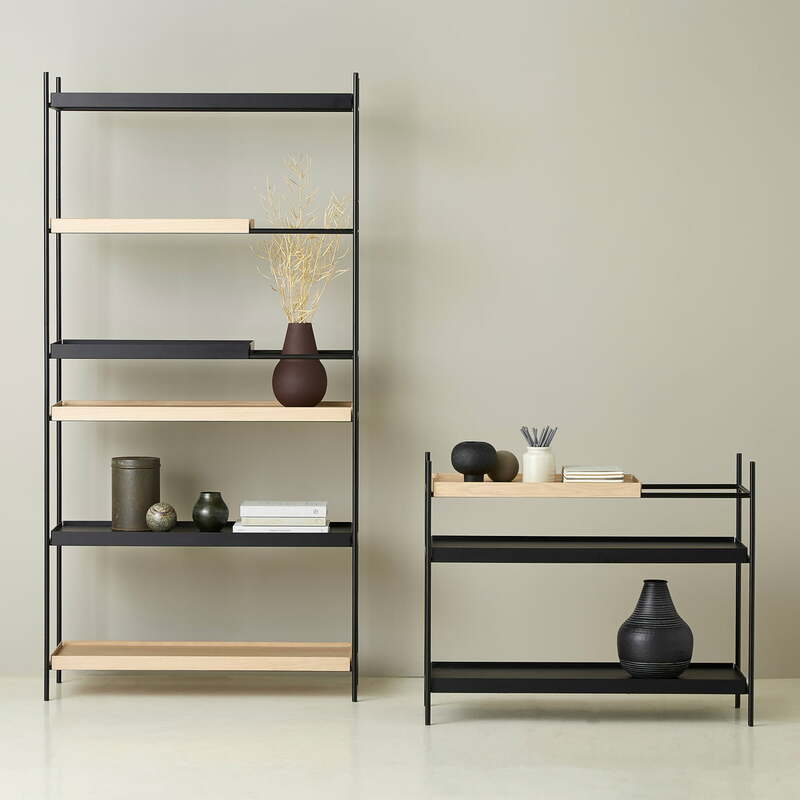 The short shelf can be moved on the frame as desired. 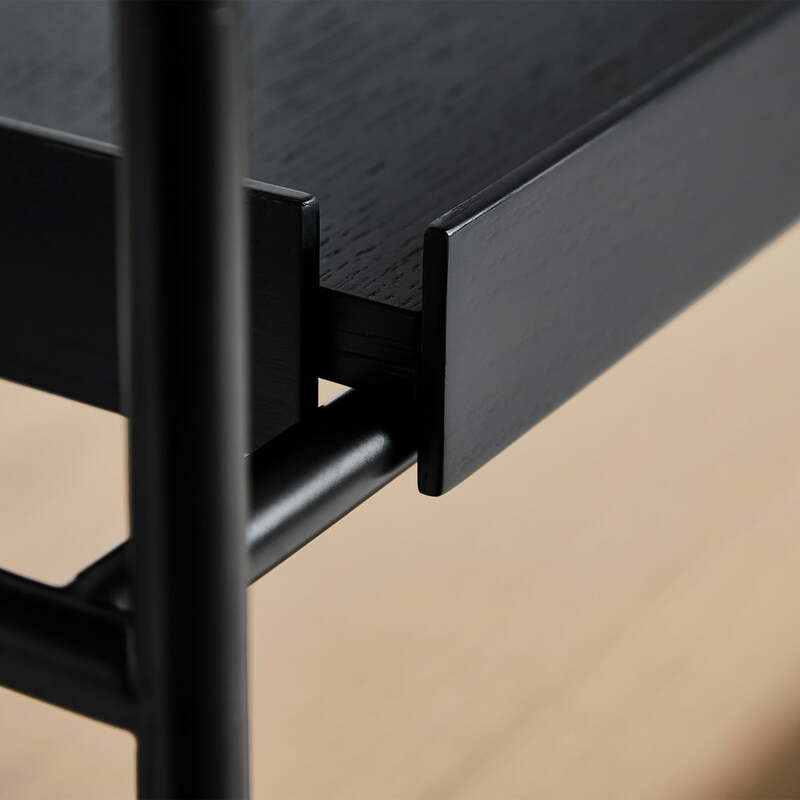 The floors are made of oak wood while the frame is made of painted steel.